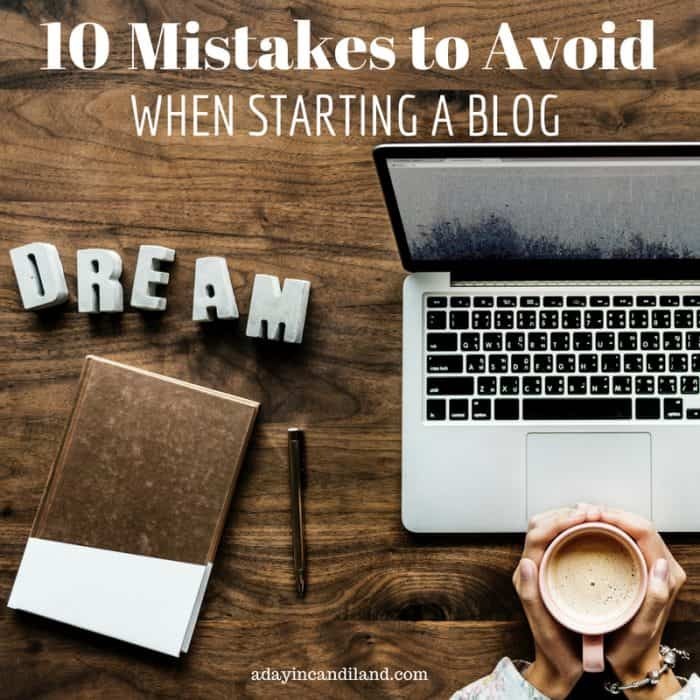 10 Blogging Mistakes to Avoid When Starting A Blog is a Checklist to help you focus on the structure of your blog and give you the advantage of learning from mistakes bloggers have made in the past. I get asked this question a lot. 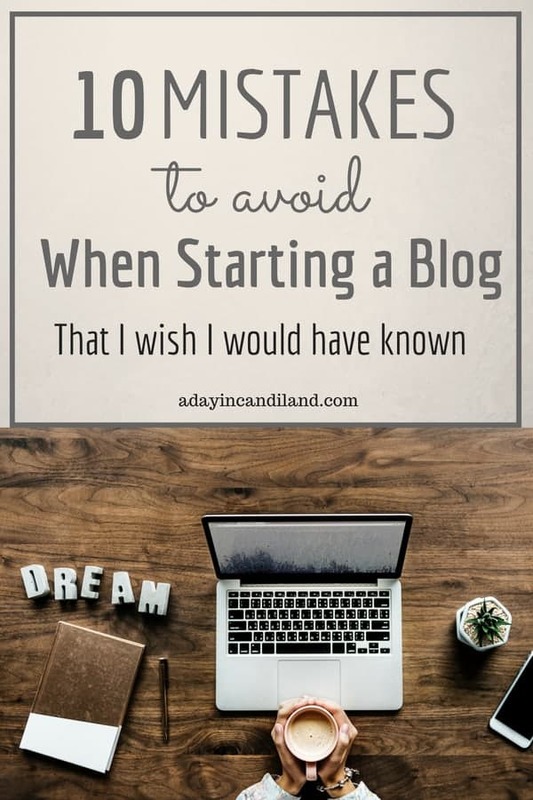 “If you could start your blog over what would you do differently?” I think the more relevant question is, “If I started my blog today, what would I focus on?” Blogging is a learning curve. We just begin and do – then we fix or change as we learn. Blogging changes daily. What is important today may not be the case tomorrow. Algorithms change. The rules change every day. This list below are the things in blogging, I didn’t focus on. I had heard about them but didn’t realize how important they were. If I would have done these tasks first, it would have saved me a lot of time in fixing them. I also wish I would have taken the two courses I share below first. There are a lot of courses you can take as a blogger, these are the two subjects that every blogger needs to do right. What are the planning stages for my blog? Know your Niche – Choose a niche that is passionate to you, not necessarily what other bloggers are doing. The narrower the Niche the Better for Ranking in Google. How should I set up my blog? Set Up Blog with 5 – 10 Categories Max – The fewer the better. Your categories should be part of your Navigation Bar. So don’t be confusing to your readers. It should be your main focus and all posts should fit into these few categories. This is how you will interlink to your articles. They will have a commonality. Each topic category should have a cornerstone content piece that is at least 1500 -2000 words. This can be a landing page of sorts where all your other articles in that category can link to. Set Up Your Tags– Don’t create a new tag daily. Your tags should not be the duplicates of your Categories. Again, not a lot of tags. This is how people will find you in search on your site. If you have too many tags, Google will not know what you are known for if you have too many tags. If your main category is a recipe, your tag may be dinner. Set Up your SEO Titles and URLs without dates. In the beginning, I thought your Title and URL were supposed to be the same. I also had dates in the URLs. The longer you wait to change this the more redirects you will have. Your keyword will be in your SEO Title and your URL. Set up Google Analytics and Search Console- Do this as soon as possible. It takes a few days or weeks to gather information in Google, so as soon as you can add it, do it. Make sure you don’t add your Analytics code twice to your theme. Take an SEO Class. Keep your Plugins to a Minimum Plugins can be fun and exciting and everyone wants the newest and easiest plugin, but they weigh down your site and making your pages take longer to load. Try to keep your plugins to 15-20 max. Figure out your Image Sizes for your Theme. Figure out what your theme size is. You will need a Pinterest Image, a Feature Image for your Blog and a Social Media Image. Also, Google loves Video, so if you start adding short videos into your posts you will rank better. Take lots of images and save them in a folder for each post. You may need to come back and use another. Labeling your image folders will save you time. Make a few extra Pinterest images to have on hand. That way you have more to upload and pin on Pinterest. Create an Email List. It is true the money is in the list. The sooner you have an email list and start connecting with your readers the better. Your email list is invaluable and will help your readers tell you what kind of products they want. Take an Email Course. Pick just one or two social media platforms You can spend hours and days on social media. It is best to focus on one or two depending on your Niche and your readers. Learn Keyword Research. If no one is searching for what you are writing about or if the competition is too high, readers will never find you. This is one of the most important pieces of your blog content. Now that your blog is set up and has a good foundation and structure, focus on your writing. This was a mistake I made in the beginning. I was writing for me. I was not thinking and putting myself in the reader’s position. Ask yourself these questions. Create an Avatar of who your reader is. If you take the email course Email Bootcamp you will create an Avatar. This is who you are writing to. You will be talking and writing to this one person. Use your voice. Don’t try to sound like someone else. This is what will make you unique. 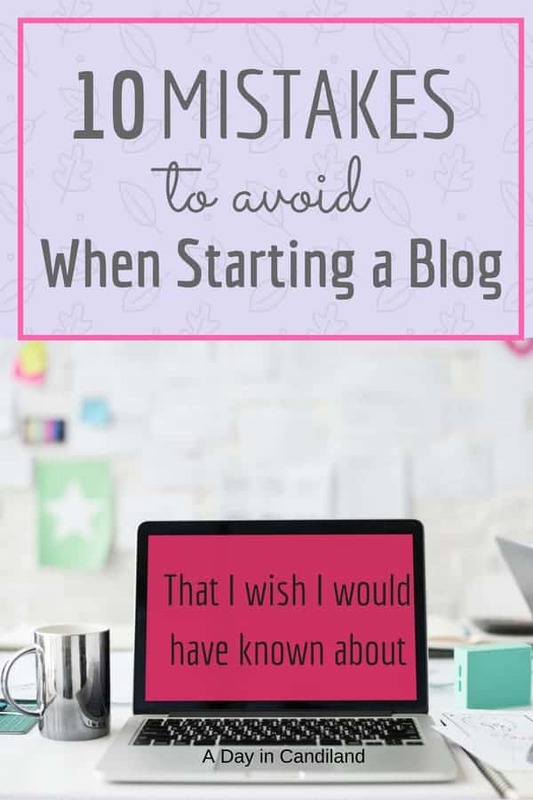 I hope you will avoid all the blogging mistakes I have made when starting your blog.